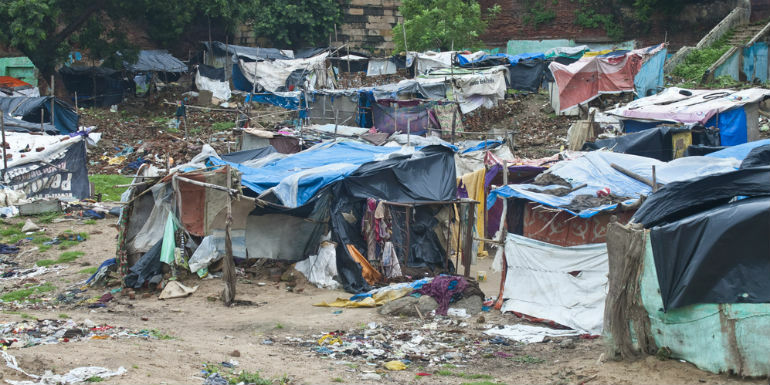 An Australian social enterprise which delivers life-changing products including solar lights and water filters to families living in slums across India, has partnered with one of India’s leading philanthropic organisations to shine a light on the slums of Lucknow. Pollinate Energy, which was founded in 2012 by six young Australians following a blackout in India that left more than 600 million people without power, has received funding from Tata Trusts to assist in a “shared mission to eradicate poverty across India”. In particular the new partnership aims to expand the business model for last mile distribution of social impact products in the slums of Lucknow, and continue expansion through Uttar Pradesh – one of the poorest states of India. Pollinate Energy co-founder and chief executive officer Alexie Seller said partnering with Tata Trusts was a “great win” for Pollinate. “The trusts have shown leadership by supporting solutions like ours that aspire to be self-sustaining,” Seller said. “The support will go directly to build the growth of our fourth city, Lucknow, which we launched in July 2016. Since it was launched, Pollinate Energy has sold more than 18,000 products and has impacted the lives of more than 80,000 people. 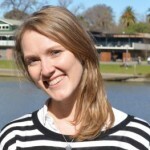 Pollinate Energy Australian national manager Anna McGregor told Pro Bono News said the model was working well in Lucknow and the latest funding would benefit a lot of families in need. “So we scouted Lucknow in July of last year and we launched in September… and Lucknow’s been doing amazingly well,” McGregor said. “I think that it’s the kind of city that probably hasn’t had the kind of support that they need for particularly transient migrants. “So people that we typically service in some communities have come from rural and regional areas to find work, so they are very poor, they are literally the poorest of the poor, and providing access to products such as our solar light and our solar fans, and water filters, are just critical for helping them to have a safe and healthy life while they’re sorting themselves out and finding work. “Lucknow has been doing really, really well and we’ve actually started to use Lucknow as a base, to start looking at other areas, close to Lucknow…this funding is allowing us to expand out to those other regions. The partnership follows 12 months of discussions between Pollinate Energy and Tata Trusts. McGregor said it was a long 12 months “but definitely worthwhile”. “They spent 12 months really, talking with us, meeting our Pollinators, visiting families, and really taking a thorough look at our strategy going forward and ensuring that their funds were going to be helping us grow in the way that we had sort of identified that we needed,” McGregor said. “So it was a really long 12 months but definitely worthwhile and we’re very proud to have proven that. “As a very small Australian social enterprise, it’s very exciting, it is a big deal and the support that they are providing is ongoing in terms of their resources and access is pretty great too. “I think it is just going to be incredible for the people we are trying to help essentially. The social enterprise, which currently operates in Bangalore, Hyderabad, Kolkata and Lucknow, sells products, the most needed of which is the solar light, to people living in makeshift urban slums. People are then able to pay off their solar lights, which are environmentally friendly, reduce the harmful effects of kerosene and are significantly cheaper in the long term, over several weeks, having purchased them from a locally employed workforce of salespeople called “Pollinators”. The model creates jobs for people from disadvantaged backgrounds, giving them the skills and tools to generate a sustainable income and a valuable role in supporting their local communities. It also has an environmental impact, reducing the reliance on kerosene and lowering carbon dioxide emissions. McGregor said it was an “incredible model”. “It really never was meant to be what it is today, and I think that is the case for any business…but we are providing employment for disadvantaged and vulnerable women and for people with disabilities as well as switching people’s need for kerosene to solar lamps and showing that they can actually purchase those lamps, we don’t actually give them those lamps,” she said. McGregor said the aim is for all of the cities to break even. “We are currently seeking stage funding to grow our cities to reach break-even,” she said. “It is quite a different model, so basically we are working towards our cities being sustainable and self-sufficient, and so that we won’t need ongoing funding like this. “Each new city takes 18 months to reach it’s own break-even point, so once it reaches that point, we are then able to reach a certain number of people with a certain number of Pollinators and then the income that those Pollinators generate through their sales can then help us move into that next new city and continue to grow. “So by the end of 2017, we aim to double our impact from 85,000 to 170,000 people with access to life changing products, so that essentially is really going to be based in that Lucknow area thanks to this funding that we have. Ganesh Neelam, head of technology and innovations for Tata Trusts, said it was an exciting partnership. “Given the strong connection between reduction of poverty and access to sustainable energy, Tata Trusts support and implement energy projects that are replicable and scalable,” Neelam said.